One of the best equipped smart phones in the market, the HTC Touch Pro2 has a gorgeous touch screen and one of the best QWERTY keyboards . 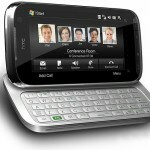 Besides this it is packed with features like HTC’s Straight Talk Technology for conference call management, Wi-Fi, Bluetooth, and a 3.2-megapixel camera. Priced at $349.99 with a two-year contract and after a $100 mail-in rebate, it is definitely worth having the HTC Touch Pro2.. The tapered edges give the smartphone the HTC Touch Pro2 a more streamlined and smoother look and the charcoal gray color is a classic and attractive choice. It is shorter and lighter (4.56 inches tall by 2.33 inches wide by 0.68 inch thick and 6.3 ounces) than the T-Mobile Touch Pro2 l, but overall, this is still a very bulky device. This smartphone features a gorgeous and spacious tilting 3.6-inch WVGA touch screen that displays 262,000 colors at 480×800 pixels It has a touch-sensitive zoom bar below the display which enables easy zoom in and zoom out The built-in accelerometer automatically switches the screen orientation when you rotate the phone, but it only works in certain applications, such as the browser, photos, and e-mail. The slide-out QWERTY keyboard is still a delight to use with its spacious layout and large buttons and remains one of the best keyboards we’ve used on a smartphone. 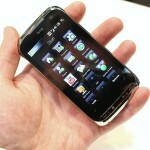 With dual-mode functionality, the HTC Touch Pro 2 supports both CDMA and GSM technology to aid international roaming. Along with the phone there is a SIM card for international use, and Sprint offers voice coverage in 185 countries and data coverage in 150 countries. However the smartphone does not offer 3G coverage overseas. The camera is the same at 3.2 megapixels. It can shoot images in one of five resolutions and one of four quality settings. Unfortunately, there’s no flash but there are white balance and brightness controls. 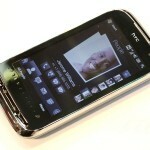 We can also get panorama mode ,ISO settings, flicker adjustment ,effects, , , and other tools all on HTC Pro 2. The Picture quality is OK and images are sharp and objects easy to indentify in photos, colors though look bland and somewhat hazy. Videos looka bit grainy but acceptable if you’re in an absolute pinch and need to record something. With excellent call quality, the dual mode is excellent. Music playback is rich and loud. Video performance is again just about OK, depending on the format.. YouTube clips took a few seconds to buffer, but they also played with no major interruption. Powered by a 528MHz processor, the HTC Touch Pro2 is a fairly responsive device..
With a 1500mAh lithium ion battery and a rated talk time of 4 hours and up to 14 days of standby time , the Touch Pro2 also features a digital SAR rating of 1.41 watts per kilogram and a Hearing Aid Compatible rating of M3.